With spring making its way to us pretty quick, that also means wedding season is almost here. 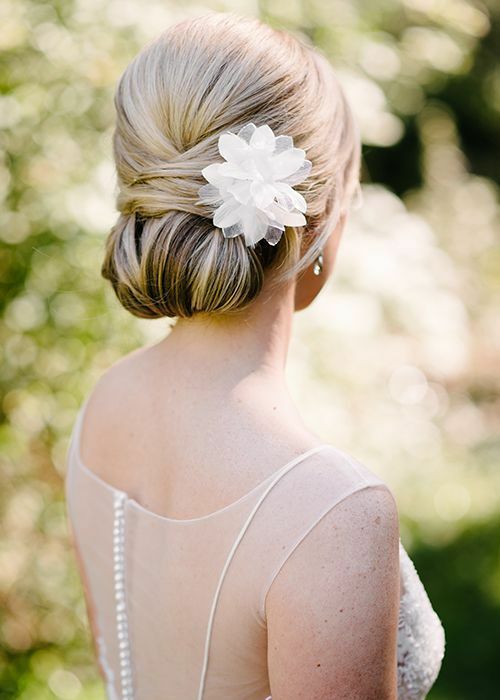 When it comes to wedding hairstyles, there are tons of ideas out there. From up dos to half-up dos to long hairstyles to short, it can get a bit dizzying. Then again, picking a hairstyle that just screams you out of the endless selections can be part of the fun. Whether you are the bride or a guest, below are some of the best wedding hairstyles. This half-up do has curls on the bottom and straight hair leading to the hair tie. With this style, the hair leading to the tie is twisted in on itself to hide the tie. 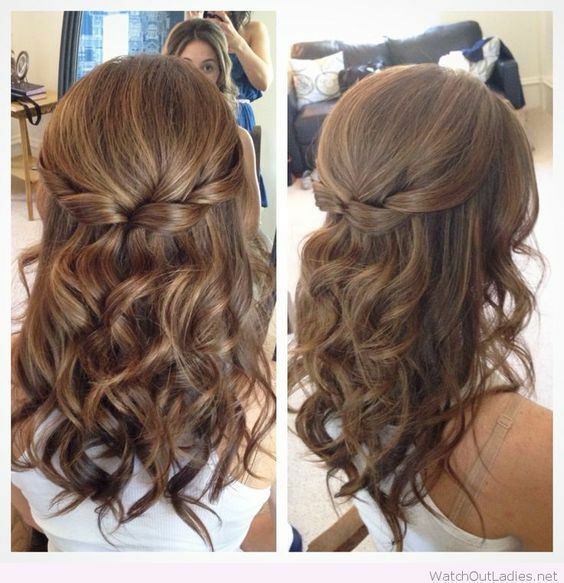 One of our favorite wedding hairstyles. 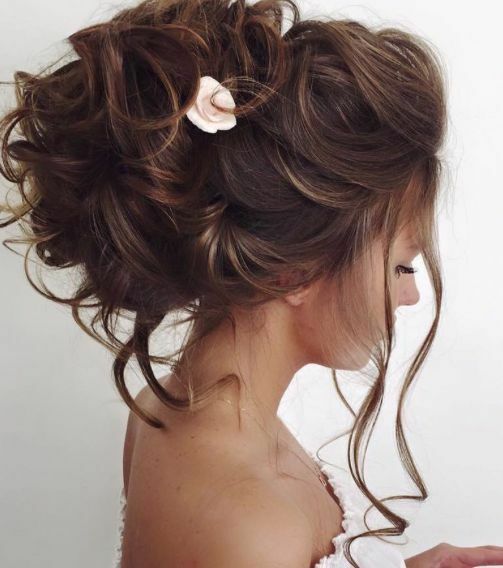 This style has classic curls arranged into an up do at the back. 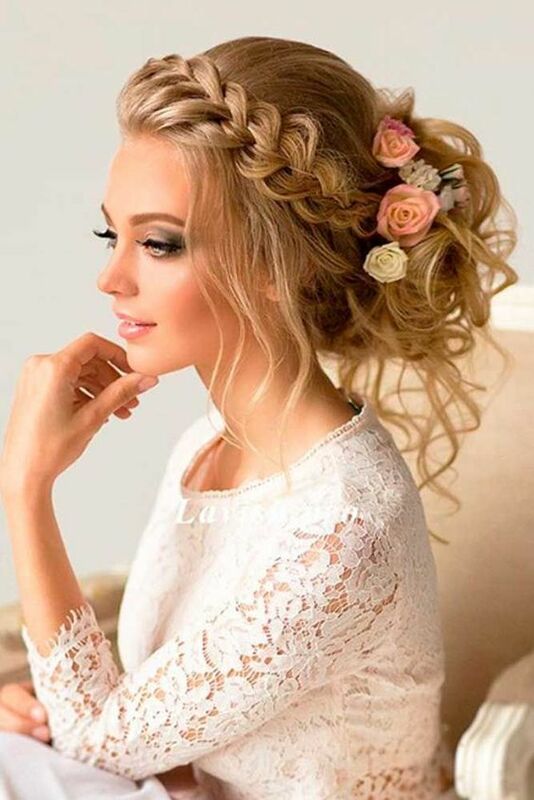 Flowers at the side of the curls and a thick three-strand braid leading from the front of the head into the tied back part give this style a romantic, slightly boho look, making one of the classic wedding hairstyles. This voluminous up do is the classic look of pinned-up curls that seem to defy gravity. A few strands hang down for some added elegance, while a little rose mixed into the strands adds a romantic touch. This style is good if you want to leave your hair mostly down. 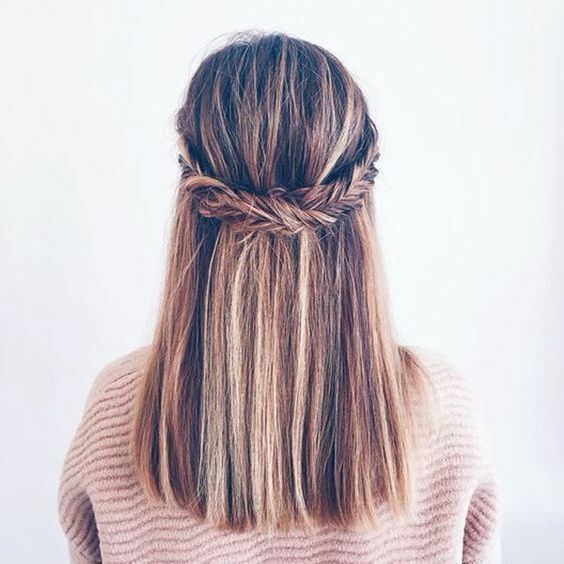 It simply adds a waterfall braid around half of the back of the head, with a loose boho three-strand braid right above that. A string of white flowers sits right above the two braids. This unique take on the bun has hair folded over itself at the nape of the neck so hair is in a vertical pattern. Above the vertical bun, strands of hair are crossed over each other to hide the hair secured from the bun, as well as create a pretty crisscross pattern. A large flower to the side adds a bit of romance. This pretty style is perfect if you want a little bit of an accent, but still basically want your hair down. It simply has a thick three-strand braid leading along the side of the head. 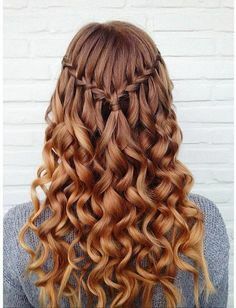 This look has a basic waterfall braid leading around the back of the head. The length of the hair is then styled in tight curls. For a lightly elegant half-up do, this look simply has some fishtail braids leading around the back of the head. The end of each braid is secured under the opposite braid to hide the hairpins. Looking for short hair wedding hairstyles? No problem. Simply add an elegant, jeweled headband. 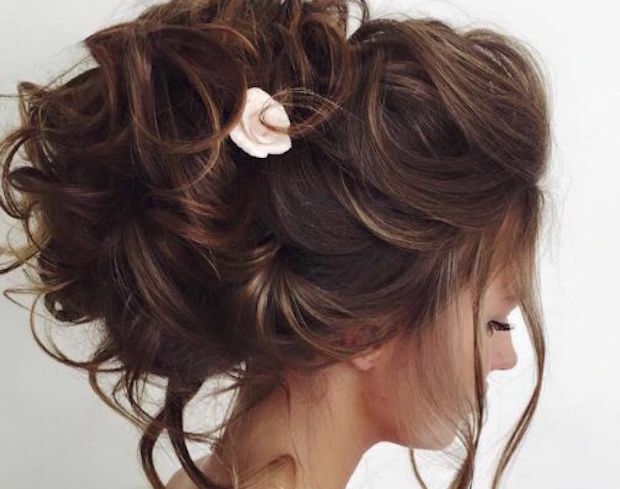 This class of wedding hairstyles is anything but basic. This look keeps it simple by styling hair to the side, over one shoulder. The length is styled into tight, bouncy curls. 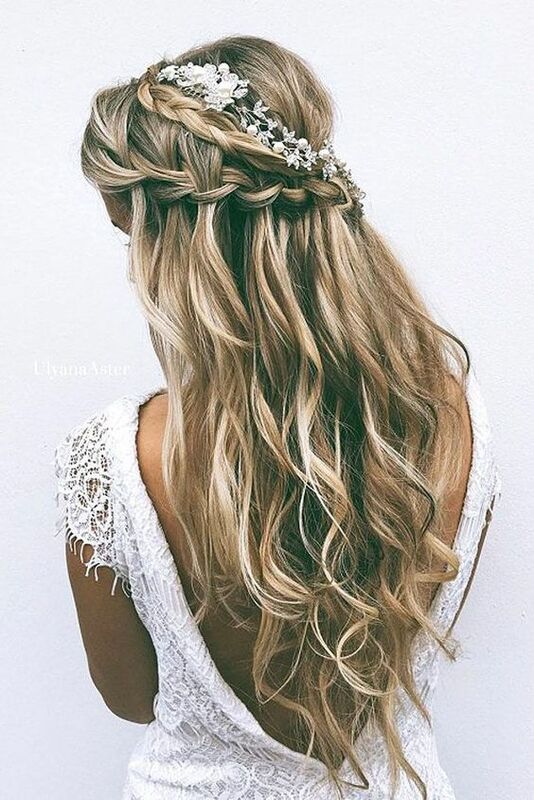 What are your favorite wedding hairstyles? Hit us up in the comments.